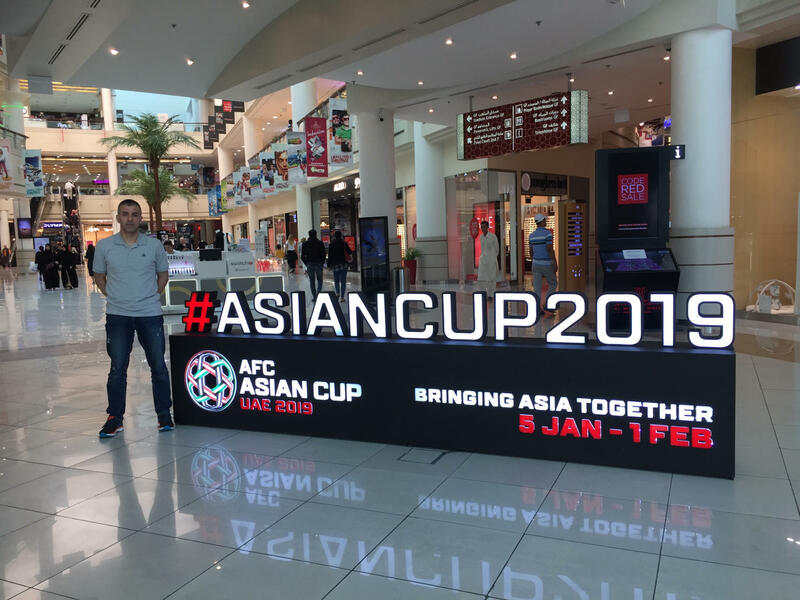 How do you look back to the Asian Cup 2019? PS: Kronika Sedziowska also wrote a worth-reading refereeing analysis of this tournament with clips. Check out their story. “I also work at the AFC Referee Academy with my fellow Instructors Fernando Tresaco Gracia, Farkhad Abdullaev and Alejo Perez LeGuizamon. I am Lead Instructor at the Referee Academy for batch 2018. Working with these gentleman is great and I think for me being involved in such a great program is motivational to me. The AFC Referee Academy is the only football academy in the world which involves in-class, remote and practical refereeing education over an intensive 4 year period. 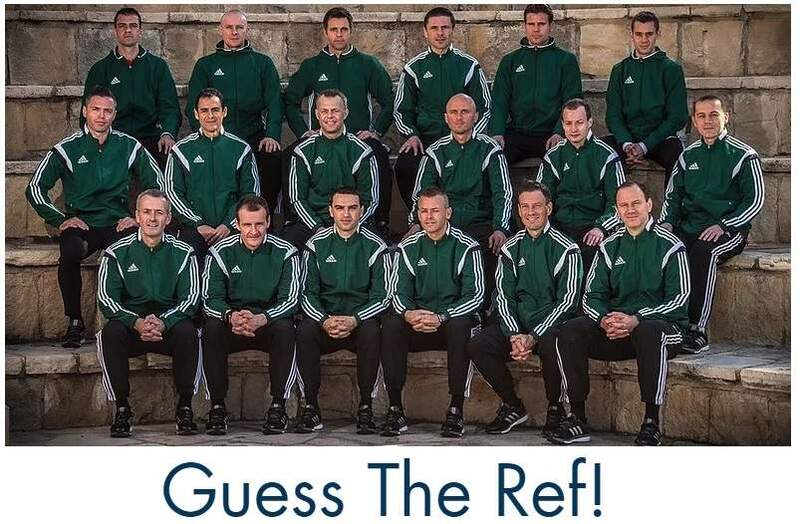 From my 2018 batch, I can already see some potential World Cup referees and should they make it, I will be ever so happy I was part of their dream. At the Asian Cup, I think the highlight for me was the first day in the seminar room when all the best referees and Instructors were gathered in our conference room. I looked around the room and felt awed to be part of this great tournament. Working with best referees in Asia was great, my goal has always to make a difference. I think honesty and integrity is something I always hold dear to me, and if you can do this, the respect you get is assured I’m sure. “Actually, I trained as intensely as the referees during the Asian Cup and many of the referees made comment that I should come back to refereeing. However, my active refereeing finished after my World Cup 2014 assignment.” More about his momorable 2014 below. “My new challenge is to develop new World Cup referees for 2022 and beyond. Hence my keen involvement in the AFC Referee Academy. “, says Hakan Anaz. 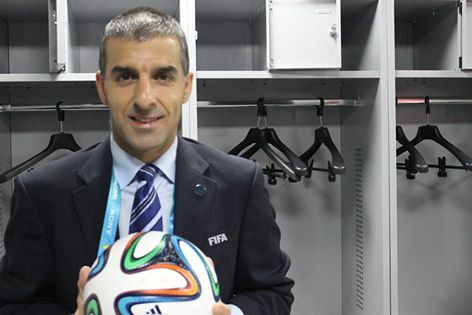 During the 2018 World Cup Alireza Faghani was close to being the first Asian World Cup final referee. In the end he officiated the 3rd place match. Earlier on I spoke with Anaz after the 2014 World Cup in Brazil. A great experience to learn from as fellow referee. In this part Anaz shares his experiences and gives you some solid advice. How did you experience the tournament in Brazil? It was your first one WC – and probably your last one because you are 44 now. What are your goals now in refereeing? Will you stay AR on national level or do you have other ambitions? How did you improve yourself as referee? What else brought 2014 for you as referee? 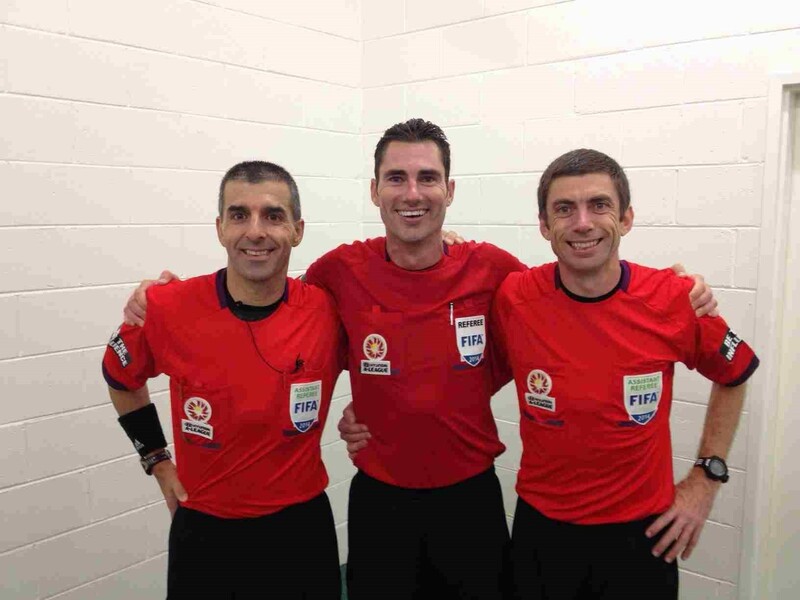 Hakan Anaz (left), referee Ben Williams (center) and Matthew Cream. Photo provided by referee. Back to your roots. How did you become a referee? I’ve seen many referees with Turkish roots climbing the refereeing ranks in other countries. Aytekin in Germany, Gozubuyuk in The Netherlands and of course you in Australia. What is the reason by their and your success? What advice would you give to (young) referees? Read the interview with Ben Williams, Hakan Anaz’ refereeing partner during the World Cup, on my blog.